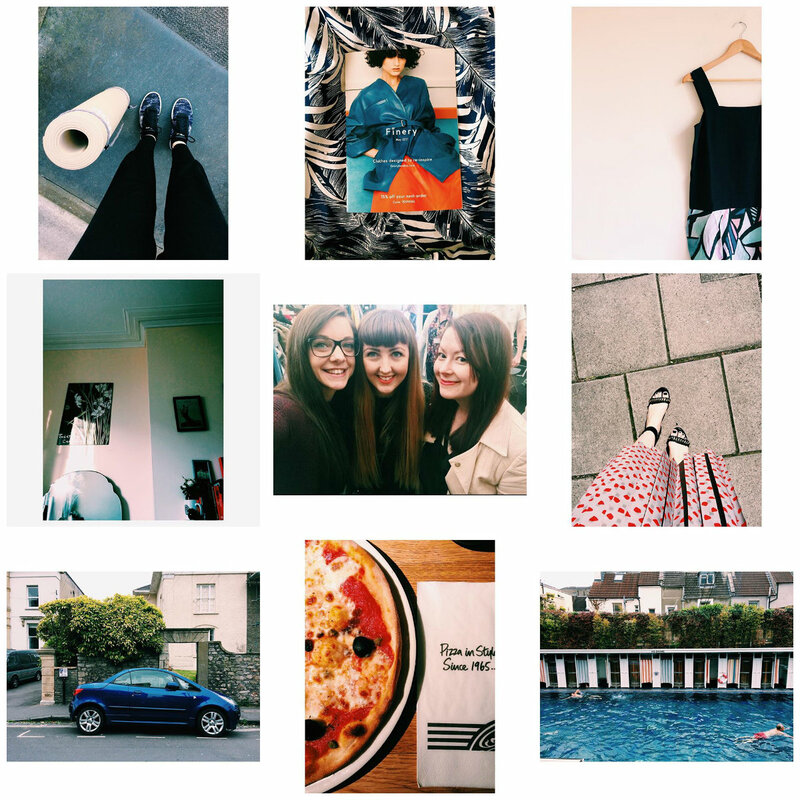 This past month has been quite busy, and I often find that I just don't get enough time to post 'proper' instagram snaps - I'm not very good at taking pictures and posting them there and then, preferring instead to take a few and then upload them later. I hate being glued to my phone, especially if I'm out with Adrian or my friends, so I tend to just snap away and then ages after the fact, find the photos and post them! Safe to say I have been loving the sunshine and warmth that the last couple of weeks has seen - not so keen on the thunderstorms and grey days but I think in the UK we always get that mix. Maybe one year there will be a 'heatwave' that lasts longer than a couple of days, or even, if luck would have it, coincides with a Bank Holiday weekend! It has been lovely to ditch the denim and wear lighter clothes - culottes, dresses and blouses. I always think that summer takes so much longer to come around than winter does - you seem to be waiting for ages for the chance to wear those summer clothes and then before you know it, it gets too cold! Let's hope the summer lasts well in to October this year.